HomeLifestyleDaily LifeIs it good to buy shoes from Sale? As it is said by wise people that Shoe shopping is an art, everyone cannot shop wisely and it is not easy for everyone to shop. Obviously the question arises how can one do smart shopping? No worries this is not difficult once you go through the concept you can do it easily. There are certain times of good shopping. If we talk about shoe sale then there are two times for sale in a year. We all have different requirements in different seasons, if we purchase shoe from winter shoe sale, wecannot use them in the end of season, but we can only use them in start of new season, if you are going to buy from shoe sale just try to buy the latest one as it will be not so much old and you will use them easily. As if you purchase shoes from summer shoe sale at the end of summer season, you can use them in upcoming season, and they will not call old fashioned too. You can focus on ever green styles and if you focus on them you can do a fantastic shopping. Now the question arises, is it good to buy shoes from Sale? It depends on person to person; otherwise if we talk about general way, yes it is very good if you shop while the prices are down up to 60% of whatever offered by brand. – If you are going to buy for any child make sure that you buy 1 size large than his/her current size, reason being child’s foot usually change number in one season. – If you are going to buy shoe for any male member of family, try to by a color that can be used with most type of dresses. Don’t buy any selective style. – Try to buy new arrivals if available in sale, they will remain in fashion rather can be trendy as well. 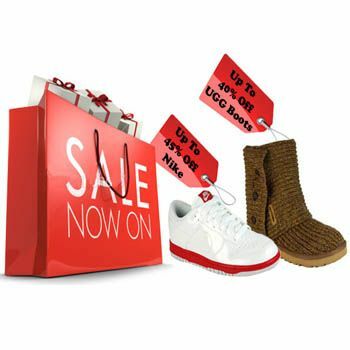 At the start of every season you’ll have branded shoe for you in less prices, isn’t it amazing for you? Yes it will be amazing if you do it wisely.